ADULT children are demanding a greater share of their parents’ estates and are eating into assets to fight for more money. Siblings and other family members are squabbling among themselves for more cash and property, airing secrets and other private information to bolster their chances in court. Current and former judges believe succession laws could work better and point to a Law Reform Commission recommendation that would limit family provision claims made by non-dependent adult children. The Public Trustee, the judiciary and lawyers say the number of family members asking for a bigger slice of the family estate is increasing. More blended families, the “it’s not fair” factor and greater assets, such as property and superannuation, are contributing to claims. Charities, caught in the middle of family wars and often losing money bequested to them, are now fighting back. But the cost of mediation is eating into estates. Barrister and accredited specialist in estate law Caite Brewer said some people were mortgaging their homes to help pay for claims. 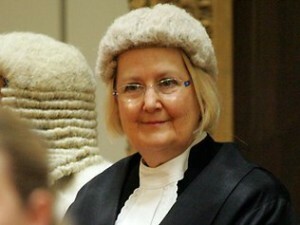 Supreme Court Justice and Queensland Law Reform Commission’s chairwoman Roslyn Atkinson said the 2004 Law Reform Recommendation would limit the circumstances in which adult children could apply for family provision in Queensland. ADULT children are flouting their parents’ final wishes, chewing up inheritances in legal fees as they fight for more money, and legal experts say it’s time to change the rules. “I think it’s undesirable if people are making claims on people’s estates where they have no need and anecdotally from my colleagues and from people at the bar the number of claims does seem to be increasing,” Justice Atkinson toldThe Courier-Mail. The booming area of estate law has also identified conflicts of interest in the system, with some solicitors appointed executors of estates, then appointing themselves as the lawyer for the executor and racking up hours of work that can be unnecessary. Queensland Legal Services Commissioner John Briton said the issue was concerning. Lawyers, who did not want to be named, said some firms were acting unscrupulously, and taking on no-win-no-fee clients, wrongly believing they would be paid from the estate whether they win or lose. A spokeswoman for Attorney-General Jarrod Bleijie said he was “open to considering suggestions for improvement to the law in this area if it is considered to be operating unfairly” but it was not a priority. In Queensland, a spouse, de facto, child, adult child, step children and some financial dependents have a right to apply for provision. Courts also consider the need of any application. Justice Atkinson said statistics on the number of people who made successful claims for family provision were not known because the majority of cases settled after mediation. One of Queensland’s best known estate lawyers, John de Groot, said there were circumstances of mean-spirited parents who left their adult children meagre offerings, even if they cared for their parents until death or worked for little on family farms for decades. Family provision - are parents obliged to provide for an estranged adult child? Divorce: Who gets the air miles?